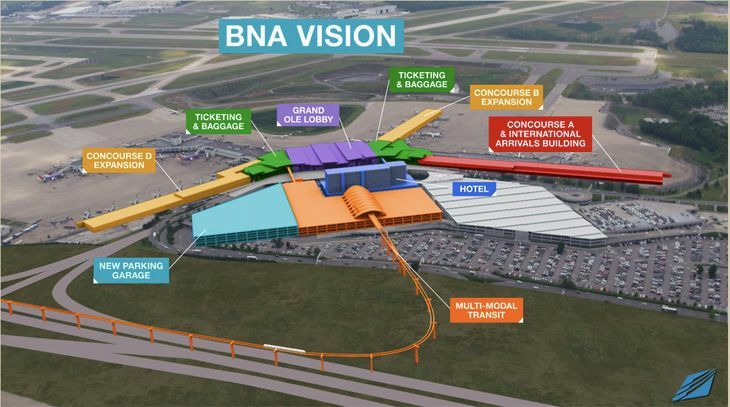 In the latest airport developments, construction at LaGuardia is causing headaches for travelers; Delta consolidates its operations at London Heathrow; Atlanta’s new tunnel, Chicago Midway makes life easier for international travelers; and big upgrades are coming to Nashville. 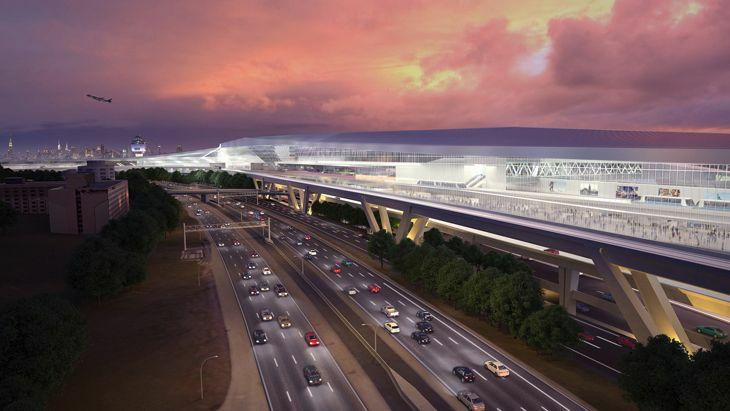 Construction has finally started on the massive reconstruction of New York’s LaGuardia Airport – a multi-billion-dollar, multi-year effort – and The New York Times is reporting that it is not going smoothly. It said that the beginning of construction has led to massive traffic tie-ups for vehicles approaching the terminals, with travelers sometimes abandoning their rides and walking through the traffic jams to make it to the terminals. Travelers are being advised to plan on arriving at the airport at least two and a half hours before their scheduled departure time. 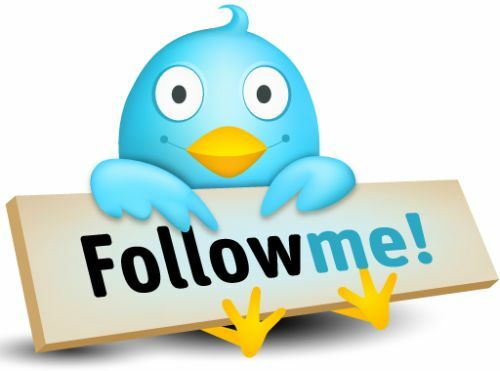 “Such traffic debacles have become so common that seasoned fliers and travel bloggers have recommended avoiding LaGuardia altogether, perhaps for years to come,” the newspaper said. Delta is making a big move at London Heathrow on September 14, consolidating all of its departures in Terminal 3. Delta flights to Boston, JFK and Seattle already fly out of T3; joining them on the 14th will be flights to Atlanta, Philadelphia, Detroit, Minneapolis-St. Paul and Salt Lake City, which now depart from Terminal 4. Delta said it is making the move so that its own flights and those of its joint venture partner Virgin Atlantic are all under the same roof. However, Terminal 4 remains the base of operations at Heathrow for Delta’s SkyTeam global alliance partners. 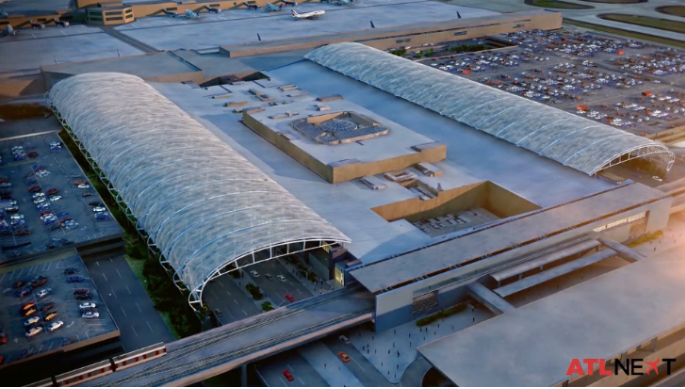 Atlanta airport officials have announced that a new “plane train” project will extend the airport’s underground train line west from its current endpoint under the main domestic terminal to the ground transportation/car rental train/MARTA station area. It will involve construction of a 600-foot tunnel, plus evacuation stairways and other equipment. Earlier this year, the airport announced $6 billion in upgrades over the next two decades, including eye-catching, translucent canopies outside the domestic terminal. Citing a big increase in routes to Canada and Mexico from Midway Airport in recent years, the Chicago Department of Aviation said it has upgraded and expanded the availability of self-service Automated Passport Control (APC) kiosks at the airport. Besides increasing the number of kiosks from six to 10, the devices have been enhanced with fingerprint readers, light bars and more language options. The Midway APC kiosks can be used by Canadian as well as U.S. passport holders. Midway’s Federal Inspection Service area has also added a Global Entry kiosk for members of Customs & Border Protection’s trusted traveler program.